Builderscrack has a fresh approach to finding great garage door specialists. You tell us what you need done and we tell our trusted independent tradies about your job. In no time you've got great pros to choose from. 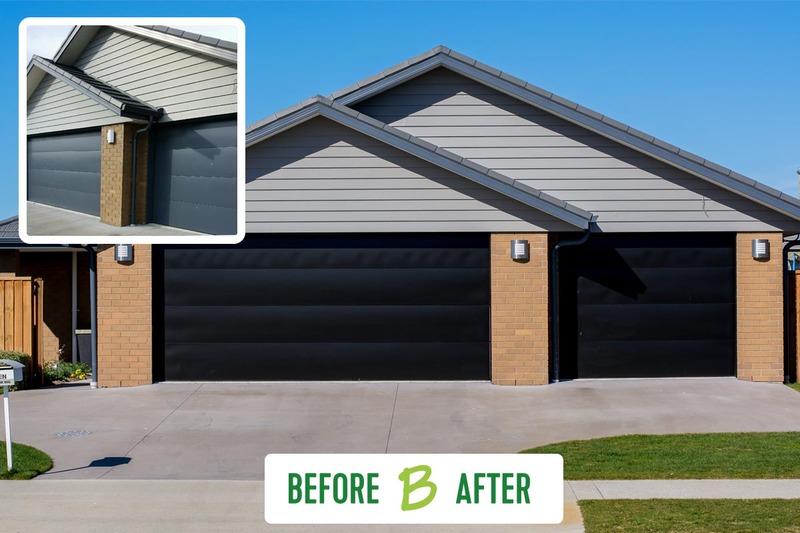 Check out how homeowners like you are using Garage Door Specialists on Builderscrack to build, repair and improve their homes right now. Skyline garage door manually operated. The side springs all jammed now. And the door damaged as well. Will need new door. If possible would like a remote operated garage door. Or otherwise manually operated will do. I have a roller garage door that needs to be detached temporarily while the concrete beam above the entrance is repaired. The work requires the roller door to be detached and moved into the garage, then refitted after the beam has been repaired. 1980's built property currently with 2 single garage doors needing conversion to double. The T-lock on the garage door is unlocked and turns, but the catches at either side of the door do not appear to be releasing. There is no other way into the garage other than through this door. The lock needs to be replaced anyway, as we have no key for it. The panel doors for a double garage door can not be fully closed. There is always 150 mm gap when it is closed. All the motor and remote control unit are functioning properly . The rails are properly aligned as well. I need a repair man to see what need to be done so that it can be closed properly. Garage door needs fixing, cannot lock. Garage door needs to be realigned so it can be lifted, slided easily and can be securely locked. Double garage tilt door out of alignment and making a lot of noise on one side. Initial opening difficult. I have a manual old broken tilt type garage door at the moment, very keen to replace. The inner lock mechanism is broken. The door it self if also slightly crocked and therefore scrapes one side of the frame. Garage door not working. Model: ML500. No electricity going into the motor despite mains working with other devices. We have a metal, double garage that needs some love and attention. The centre strut between the doors has come loose, post quake and one door is therefore sticking and has also come off its auto running mechanism. From the looks of things it appears to need a combination of a bit of building remediation, centre strut area and then a door tweak, bend, brut force persuasiveness. Needs looking at fairly quickly please. One door wis to remain permanently locked, bolted shut. We are wanting to put ranch sliding doors on to our garage. We do mot have the sliding doors yet and are hoping that the builder can help us purchase the right door for our garage. Garage door opener doesn't work. It receives signals from the wall switch, but the motor doesn't work.